This amazing Birthday Fox collection by independent Aussie designer Yunita Yapi features a playful illustration of the birthday fox and the speech bubble. 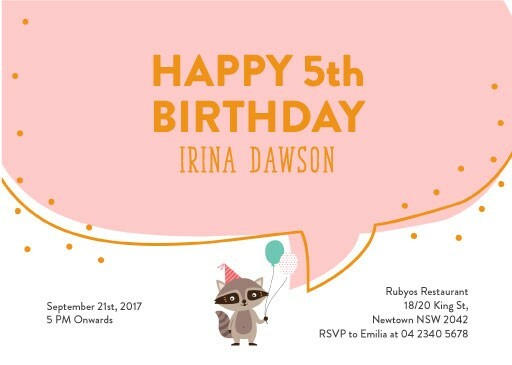 It is an artsy yet beautiful design, and is perfect for people looking for a cute happy birthday message, an animal birthday invittion, or a funny birthday invitation to make their guests smile. This Birthday Invitations card from the design set looks stunning when printed using Digital Printing and we think it looks best using Paperlust Premium 350GSM.